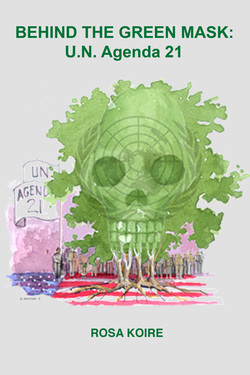 What is UN / Local Agenda 21 ? Agenda 21 is all about “consensus” building at the expense of individual liberty. What do we do about Agenda 21? This is an important book as it cuts across ideological lines and exposes the truth to what Agenda 21 is and how one woman in San Francisco has learned to successfully fight against it. It is easy to read and understand and gives good information on what to look for, how to avoid being marginalized and how to stop this from being implemented in our communities. A violent and tyrannical government rules what was once known as America. The old, the ill, and the defiant all quickly vanish. Babies belong to the state. Against all odds, one young couple risks everything to expose the truth. But are they too late? Woken up to the harsh reality of her life and her family’s future inside the Republic, eighteen-year old Emmeline begins to search for the truth. Why are all citizens confined to ubiquitous concrete living spaces? Why are Compounds guarded by Gatekeepers who track all movements? Why are food, water and energy rationed so strictly? And, most important, why are babies taken from their mothers at birth? As Emmeline begins to understand the true objectives of Agenda 21 she realizes that she is up against far more than she ever thought. With the Authorities closing in, and nowhere to run, Emmeline embarks on an audacious plan to save her family and expose the Republic’s true agenda.